Pioneer has launched a brand-new USB-C Portable SSD device with a lightning fast speed. It is not only shockproof and lightweight, but it is also easy to use. It is made with two finishes, giving it a beautiful appearance. With its powerful features and incomparable ultra-small size, APS-XS02 will be your ultimate portable storage gadget. APS-XS02 is the fastest portable SSD that Pioneer has launched so far. It has a USB-C 3.1 gen2 port with a read speed of up to 480MB/s which is three or four times faster than an HDD. When you transmit your large and important data, 4K videos, and high-resolution photos, this device can save you more time. 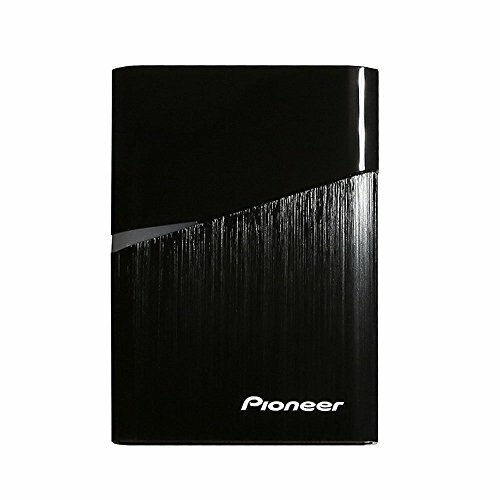 Pioneer has crafted a perfect interface compatibility that supports both Mac or PC storage. You do not have to worry that the format of the interface is USB Type-C or Type-A. It supports USB 3.1 gen2, 3.0, and even 2.0 which allows plug-and-play for you at any time. APS-XS02 is pocket sized and Japanese-made. Each face and edge are deliberately crafted to fit to the curve of the your hands. The piano black and brushed metal finishes brings ultimate simplicity and makes the SSD become a fashion accessory which shows your style. Ultra-fast USB 3.1 Gen2 interface, high speed data transfer with speeds up to 480 MB/s. Ultimate lightweight, pocket-sized and fashion design. Perfect interface compatibility that supports both Mac and PC. Bus powered with no external power supply required.